I'd like one of these.. But what else do I need? As I have the standard dump valve. And I need an induction kit.. Correct? all you might need is a dump valve with a push fitting and a 3inch filter, We provided a free filter with this kit as part of the offer. We do have these in stock but the price will be different. Last edited by the bear1986; 15 February 2012 at 10:14 PM. ordered monday , waiting on postman . mr postie has been . proud new owner ! Good Stuff!!!! Instructions have been emailed to you also!! Sorry we do not provide a dump valve kit. Also apart from a dumb valve do I need to buy anything else for this to fit e.g any bottles clips or pipes? Could you also recommend a good dumb valve that will fit this perfectly? Thats what we like to hear Instructions should be on their way to you shortly As as far as I'm aware you shouldn't need anything else to fit this kit but unfortunately I couldn't recommend a dump valve as we are unable to comment on another's product. Hi Paul any update on these instructions as I haven't recieved any in my email are u sending them in the post? What's the price of these now? Thanks for letting us know. As far as we were aware this has already been sent. In either case you should receive an email shortly from [email protected] with the instructions attached. Any problems please don't hesitate to let us know. HI Gus we have re opened this group buy for you all so take advantage of this great price!!! get your names on the list!!! 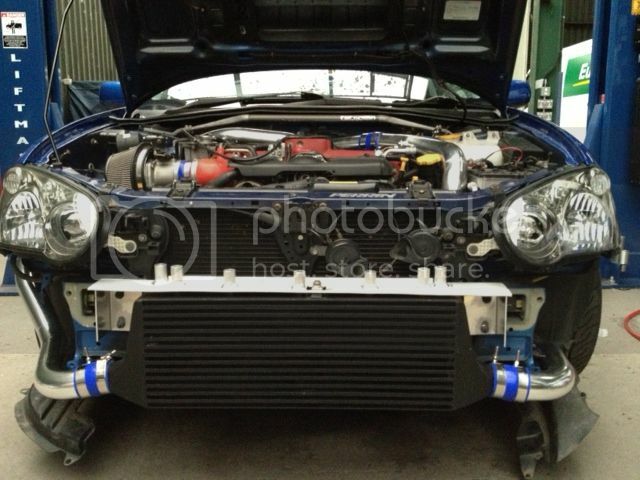 Do these foul any tanks on the bugeye? also is it possible to just delete the wastegate with this kit, do you have the bits to do this? and will an RCM induction kit fit with it? 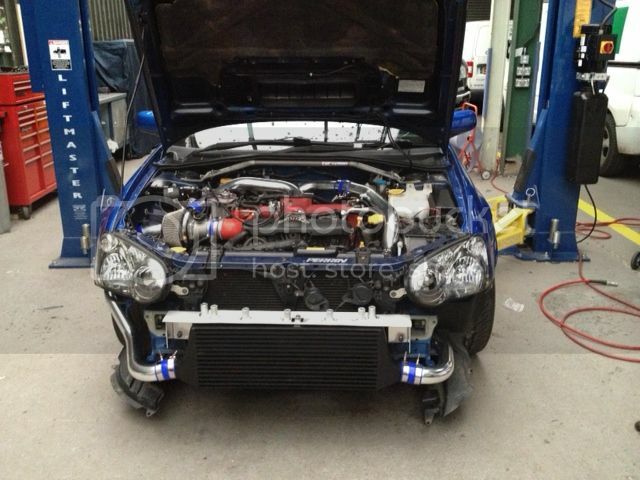 Dont suppose anyone has any pics of this fitted to a bugeye do they? I,m in for this. Steve. Thanks for your message, as far as i am aware this does not foul on any tanks. I have a step by step fitting guide that I can email over to you if you wish to provide me with your email address. Whats the deal atm i have a impreza classic and cash waiting ? give me a call on 08450 212 312 if you want to purchase and i will see what we can do on price. Fitted mine this week, had it sprayed black first! Fitted in under 3 hours, no issues with fitment at all. Looks great, so what exactly are the prices now? Give them a call or PM, it is a very good price! Fitted it myself, quite easy really! The only difficult part to get neat is the bumper trimming, I got my local bodyshop to trim it for me. 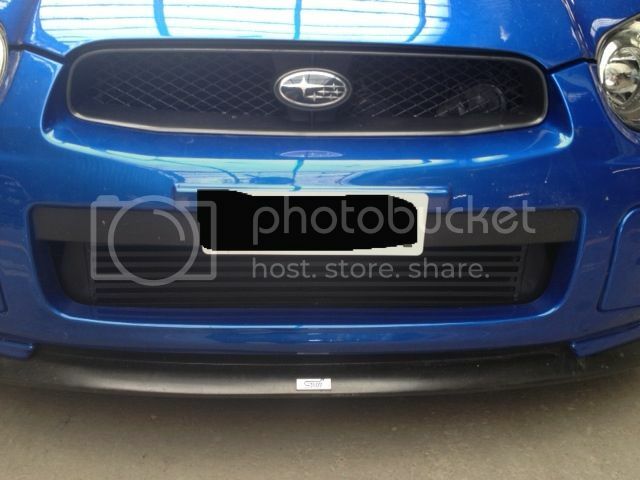 How much of the bumper needs to be removed? Last edited by white noise; 08 July 2012 at 09:51 PM. Looks agood fit buddy, what paint did you use to paint the core before fitting?